​​​​An Adirondack chair is a simple outdoor lounging chair with an angled seat, a straight, angled back and wide armrests. The front legs are straight, and the back legs slant at an angle, supporting the angled seat. Adirondack chairs are used as outdoor furniture, which can include decks, gazebos, sun rooms, Florida rooms, and the like. They’re a good deal more comfortable than they appear and are suitable for lounging for a few hours at a time, although even models with ottomans are not suitable for napping or sitting for several hours at a time. 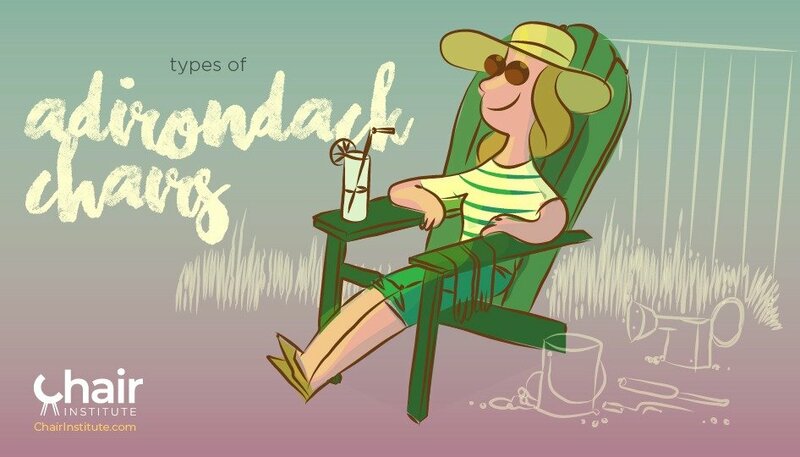 There aren’t multiple types of Adirondack chairs, and in fact, the model has only been updated one time since its invention in 1903. The only variation you sometimes find is the fact that some versions come with ottomans, while the original version of the chair did not. While the original chairs were built of solid wood, modern materials sciences have allowed them to be made out of polymers, plastics, and other materials designed to increase longevity. 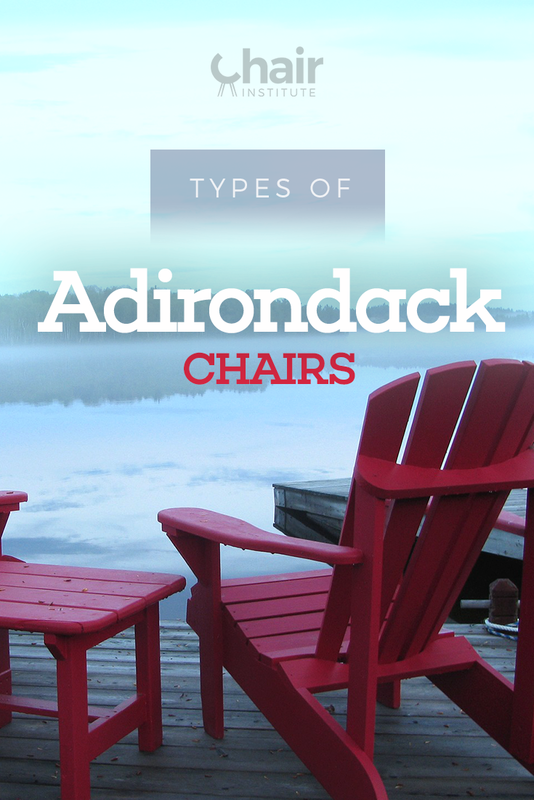 These differences, however, are insufficient to call them completely different types of Adirondack chairs. Thomas Lee developed the first Adirondack chair in 1903 for his vacation home in the Adirondack Mountains. He used members of his family as his test subjects to perfect his design, which was built with eleven wooden planks. It was formerly referred to as a ﻿Westport ﻿﻿Plank Chair, and Mr. Lee offered the design to a friend, Harry Bunnell, who was a professional carpenter. Bunnell patented the design in 1905 without Lee’s permission and began mass producing them, painting them dark green and individually signing each. The design was modified in 1938 by Irving Wolpin, featuring a rounded back and a contoured seat, and remains unchanged to this day.